Great team .awesome service .there was a nail in the tire and they fixed the tire . only thing was the truck wasn't cleaned inside . The service was great there Jayarr Reed was very helpful from the beginning til the end with helping me out we stayed til closing but he was there every step of the way. Great salesman thank you Jayarr & I appreciate everything you did for me. Barry made the experience easy and answered any questions I had. He was knowledgeable and didn?? ?t push a sale on me. I would come back here again. We have been very happy with the car that we purchased from Adams automotive group, and feel that the price was a good price, even from a dealer. 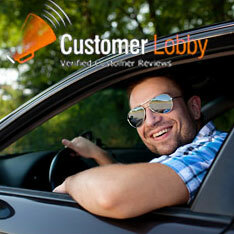 We work with Troy and he was very helpful and communicated with me by text, and answered every question that I had. I really recommend him as a salesman. I went into the dealership with little to no expierence in buying a car. But Randy and Rene weee very patient with me , showing me different cars that fit my budget and I got the car that I was most excited about . I?? ?m just thankful for them being so patient with me .